I was previously wary of National Reciprocity supported solely on the herpes theory of the commerce clause, so I don’t outright scoff at people’s concerns with federal involvement in this area. But with the advent of Heller and McDonald rulings, Congress now has another, more constitutional avenue to legislature in this area, namely Section 5 of the 14th Amendment, which grants Congress the power to enforce its provisions that guarantee rights. This has been used to promote civil rights in many contexts in the post-Civil-War period. National Reciprocity is really a quite appropriate exercise of this power, given that the Heller decision assumed a right to carry a firearm, and the Court applied it to the states in McDonald. In fact, I’ll go farther and argue that Congressional action is likely the only way we’re going to restore the Second Amendment to the few remaining states which disrespect it. So let me take on some of NAGR’s arguments. NAGR argues that the Second Amendment is the only license you should need. No one steeped in this debate disagrees that there should be no licensing requirement for exercising your Second Amendment rights. But Congressional action here doesn’t necessarily legitimize licensing. Previous Supreme Court rulings make Congressional action on unsettled issues like licensing problematic. Even with National Reciprocity, the other side will certainly argue City of Boerne v. Flores, which circumscribed Congressional power under the 14th Amendment. Congress attacking licensing might spark a turf war with the courts, such as happened in the City of Boerne case. We want to be cautious about reaching too far without more guidance from the Court. NAGR argues that this bill is a trojan horse that will pave the way for federal control of licensing and carry. That is false. This bill gives no federal agency any regulatory control. It will be a law passed by Congress and enforced by the federal courts against the states. Could Congress pass such regulatory control in the future? Sure. But they can do that whether we pass National Reciprocity or not. Groups like NAGR act like anti-gun folks never thought of passing federal gun control before we gave them the idea. Nonsense! NAGR uses Obama’s lawlessness as a reason not to do this. But this bill offers Obama no regulatory power to abuse. Could he just mandate something anyway? Sure, but again, he could do that right now. It will come down to what the federal courts let him get away with. That’s true with or without federal reciprocity. NAGR calls this the “National CCW Registration Act,” despite the fact that there is no registration component to the bill. Nothing changes in regards to federal involvement in carry permitting, and nothing could change. All the law does is demand that states recognize each other’s licenses to carry. No more, no less. NAGR is simply wrong on this issue, very badly wrong. Some Senators and Congressmen may use Dudley Brown’s opposition as cover to avoid taking a hard vote on this. I’ve made no secret that I don’t like Brown or his organization, but even I honestly don’t know what’s he’s even thinking here. I don’t think we ought to stop with National Reciprocity either. 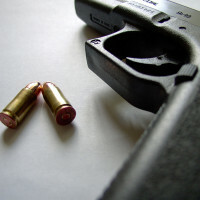 Lately I’ve liked Glenn Reynolds idea of mandating that, for someone not prohibited by federal law from possessing a firearm, they can’t be sentenced to more than a petty offense, with a fine not to exceed $500 dollars, for any firearm violation not involving the commission of another serious, violent crime. It would be a good next step, and hopefully compatible with City of Boerne. At the least, it represents the kind of remedy we can probably only get from Congressional action under the 14th Amendment. I would ignore NAGR’s plea to oppose this law, and make sure your friends know it too. NAGR has built up quite a Facebook presence, so Dudley could do serious damage in trying to move this or any other federal civil rights bills forward if more sensible people don’t help educate. Dudley is thinking he can use the issue and this position to make more money for himself. That’s really the only thing that makes sense, but you think he could figure out other ways to do that without scuttling important federal civil rights legislation. What if that is he real job? I am willing to entertain the notion that he is on someones payroll. That possibility had occurred to me, too. Dudley has been around for several iterations of gun control, so I doubt anyone on their side is paying him. Everyone should read this article about Dudley, if you’re curious. That pretty much explains in gritty detail my general impression of him and his group(s), based on the contents of his e-mail campaigns. He’s ideologically extreme, seems money-driven, and can be at least as damaging to his allies as he is to his enemies. While I believe the GOP needs to get rid of the RINOs, handing legislative majorities and executive seats to Democrats over relatively minor disagreements (on non-gun-related issues, I might add) is a dangerous game and could backfire spectacularly in the long run. I’ve seen this before. It doesn’t change my mind that Dudley could be either knowingly or unknowingly on someone’s payroll. I would not put it past either Bloomberg or any number of other professional antis to funnel money and/or encouragement to NAGR through a 3rd party knowing it would be used to screw us up. The thing is, he makes enough money through NAGR so that he doesn’t need to be on anyone’s payroll. The anti’s have to have a sugar daddy for their astroturf. Our side has enough people to fund itself. Tap into that and you get your own paycheck. If you have your own paycheck scaring people, all you are going to do is scare people and not actually get anything done. Well, $#!+, if that were a good reason not to do it, then we’d be justified in telling Congress to remain in recess for the next two years and let Obama do whatever the hell he wants. Personally, I think his lawlessness is a fantastic reason to give him less leeway to abuse his pen, his phone, and his office. If National Reciprocity passes and life gets better for gun owners, then great. If it passes and Obama continues breaking the law, then nothing will have changed, and we’d be right where we are now except that we’d have the written law on our side in addition to SCOTUS precedent. I can’t see how either of those options are any worse than the current situation. NAGR means ClickBait. Dudley is desperate for measures to return the gun rights audience to listening to his BS. After approximately 38 – 39 emails in a row, 1st)soliciting, 2nd)begging, 3rd)wheedling, 4th and finally) demanding “donations”, with only lightly veiled threats of losing All My rights and liberties, I decided enuff Was Enuff, and blocked NAGR from further “solicitations”. We cannot take this for granted and we can’t take it for granted that NRA-ILA isn’t just dropping the bill on the floor with no intention of following it up like the last 2 (3?) years. It’s been around since the era of the protection of lawful commerce in arms act, but has never received any tangible support from ILA. When they were pushing for PLCA, you heard from ILA every week, sometimes twice, but national reciprocity has received only tepid, in name only support from ILA. we really need to let them, GOA and congress know that failing to pass national reciprocity by veto proof margins is the same as an anti gun vote. NRA has been pushing this for years now. It’s kept failing in the Senate because you need 60 votes. Now e probably have those 60 votes. But you need 67 to override a veto. Have they gotten the bill introduced? yes. Have they gotten the bill any further than “assigned to a committee? No. Have they spent any tangible effort to get it beyond “assigned to committee ? No. They had 57 votes for it when the Senate was debating universal registration, and we now have both houses of Congress. So what if the first attempt gets vetoed? That’s a message for us to try harder. The current thinking seems to be “hey, if we get a bill introduced, that’s enough. We rake in the cash, and when it dies at the end of the year, we hit the membership up for more money”. If we find that we can’t clear the hurdle, we need to push for attaching it to every must pass bill. The next election is far from guaranteed, and at this point it could go either way. My point is that we’ve been accepting symbolic support and half measures from our groups for too long. 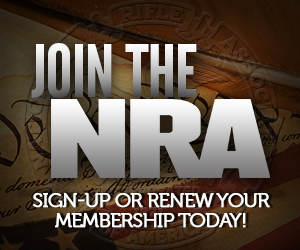 we need to be more vocal to NRA-ILA that we expect more effort for our money. It’s passed the House already. It’s been introduced and voted on in the Senate. That happened at the height of Sandy Hook, if you remember. It was part of the packages of bills that were bought up and barely failed. Post Sandy hook it was amended to a gun control bill to poison pill it, to be fair. when did it pass the house? When I worked with ILA briefly (not for them), on another issue, they had fairly strict guidelines on engagement. Anything that isn’t their priority or signature bill, is introduced for show only. They do nothing but pay lip service to it, and the bill dies at the end of the session. If it’s an election year, anything introduced falls into this category, unless it’s somehow made significantly more important – a gun control bill passes. They “aren’t made of money” is the quote my colleague used, An election year is probably a good example – they budget a flexible amount to donate to campaigns and what they can support legislatively. if the elections begin to go south, they will pull money from other sources. What I’ve seen starkly different between the support given to protection of lawful commerce in arms vs national reciprocity is how much support they have asked for from membership. Or, rather, the lack of it for national reciprocity. That troubles me because I think this might not be the priority to them that they say it is. Spot on. If they were serious about reciprocity, they would have members calling reps suggesting it be attached to some kind of “Obama really wants this” legislation that he might sign. They have not done that. As a result, it signals to the establishment that this is not a priority. I think this might pass, only because Obama will keep it from becoming law. That gives the GOP what they want most: another “red meat” issue that creates an Us v Them mentality to get out the vote. Reciprocity could happen this year, but unless ILA and membership push the right buttons it won’t happen. This appears to be little more than lip-service from ILA, unfortunately. This is the last chance for reciprocity until 2017, and that is possible only if the GOP somehow manages to hold the Senate – which is very unlikely. Reciprocity is all but dead right now. National Reciprocity will also not affect the apparent trend towards Constitutional Carry. I don’t think I’ve seen a year like this one where so many states are getting very close to permitless carry. I could see us having 10 states with Con-Carry in the next 5 years if we play it smart. Unless you accidentally cross the line into denied territory and get hit with a felony charge that forever ends your ability to own guns, let alone carry in ConCarry state. I have to be honest here, I get pretty peeved when I see what I’ll call the “Low Information NRA Members” scream on places like social media about “The 2A is all I need, screw your legislation”. Something tells me very few if none of these folks actually go out there and try to test that belief. Yes, I agree with them in principle, but yelling about it isn’t actually helping anything. We’re making progress through the courts, through gun-friendly state legislation, and through winning the hearts and minds of those who are open-minded enough to swing to our side. We’re not winning it by decrying pro-gun legislation because “I have the Constitution”. You just describe Dudley’s target audience. Never, never, never underestimate the ability of the rightward half of the political spectrum to reject the good in pursuit of the perfect. Congress could pass a bill abolishing all tax beyond a 1¢ per annum on any income over $1 billion and you’d still have wookie-suiters on the Internet calling for civil war. NAGR is just a johnny come lately GOA. What’s his name was all “the second amendment is all you need, you don’t need no stinkin’ license” when Texas concealed carry came up TWENTY YEARS AGO. And had he had his way, Texas would STILL not have the “perfect” no license carry bill. This year we have a bill that would END GUN FREE ZONES for CHL for the most part and it has a pretty good chance of passage. What was that about one slice at a time? It’s probably a step too far today, but I’d love to see, as a followup to national reciprocity, Congress either require that “personal self-defense” is a good and sufficient reason for issuance of a permit, or that permits must be issued to anyone who is otherwise qualified to own a handgun. Either one basically forces shall-issue, both leave the mechanics of issue to the states (still no federal CCW registry), and either one should be compatible with the theory that allowed LEOSA to survive challenges. I like the AR-15 they gave me and I never donated a penny.